The London Dungeon is an exhibition on the south bank of the River Thames to the east of London Bridge. It celebrates, in a tongue in cheek way, some of the more unsavoury aspects of life in London in medieval and later times. 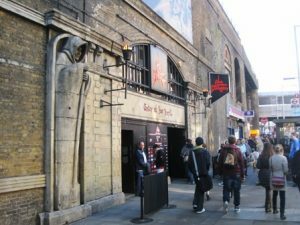 The exhibits involve the Great Plague, torture, the Bedlum Asylum,Sweeney Todd the nightmare barber of Fleet Street and Jack the Ripper. There is a ‘5D laser ride’ , the ‘Drop Ride to Doom where visitors are sentenced to death by hanging and ‘The Boat Ride to Hell’ through the Traitor’s Gate. The London Dungeon is open every day and there is a charge for entry. Prices vary according to how and when the ticket is bought, opening times vary according to the month – see website above.